Movie studios looking to set up early-access rentals with companies like Apple and Comcast may reportedly push ahead with those negotiations and skip revenue sharing with theater chains, if the latter don't reduce their demands. Early-access rentals would let people stream movies through services like iTunes just weeks after their premieres, possibly while they're still in theaters. To appease exhibitors, studios have discussed a revenue split, but balked at proposed long-term commitments up to 10 years, according to Bloomberg sources. For the end customer, early rentals would likely cost between $30 and $50. Agreements with the likes of Apple and Comcast could be achieved as soon as next year, the sources added, in which case they might be used to force theater owners to back down. Another advantage in the studios' corner is said to be Disney's upcoming streaming service, even if the company has so far skipped early-access talks because of its success with big theatrical releases like the "Star Wars" and Marvel movies. Theaters could choose to boycott movies slated for early access if they don't get favorable terms. Indeed some studio executives are allegedly adopting a less aggressive position. Digital rentals and purchases typically aren't allowed until at least three months after a film's premiere. Some proposals being floated would slap a $50 pricetag on viewing after 17 days, or $30 after 4 to 6 weeks. 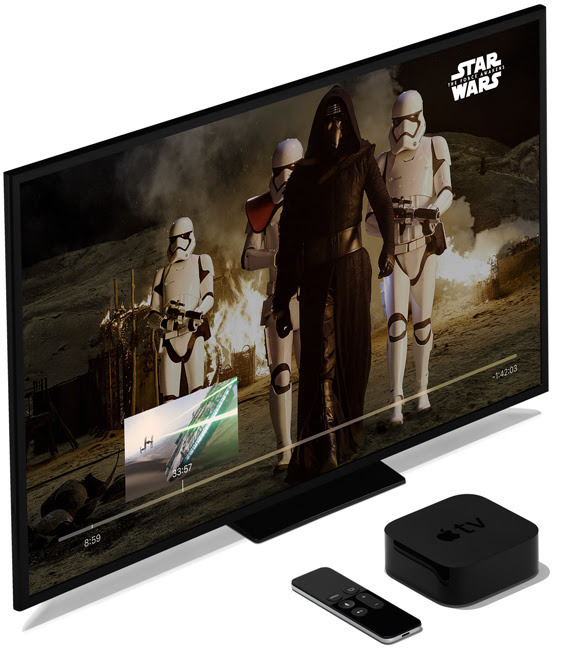 It's possible that studios could experiment with different windows overseas before bringing one to the U.S.
Apple is meanwhile believed to be preparing a fifth-generation Apple TV with 4K and HDR support, and upgrading its iTunes content to match. Having both could be essential if the company wants to draw in early-access customers.